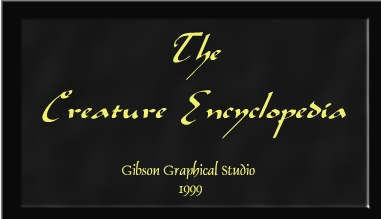 The Creature Encyclopedia has a very simple interface and yet provides everything a DM needs when a creature's stats are needed, and is flexible enough to allow for creation/addition of new monsters to the listing. 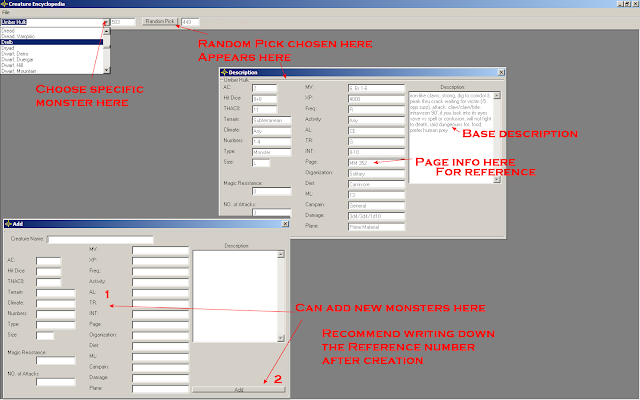 As a bonus, you can also edit current entries, so adding more material is a snap. Traditional Armor Class is represented here, so use with 1st Edition requires little work. Each Creature has a reference to the exact page in the Monster Manual for more detail if needed, and has enough information that you may never have to crack the book open during a session. Two hearty thumbs up.